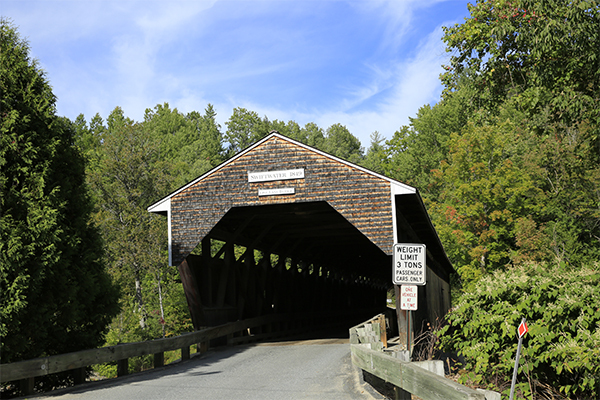 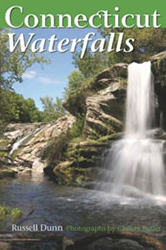 Swiftwater Falls offers the perfect combination of a fine set of falls, a huge swimming hole, and an attractive covered bridge. 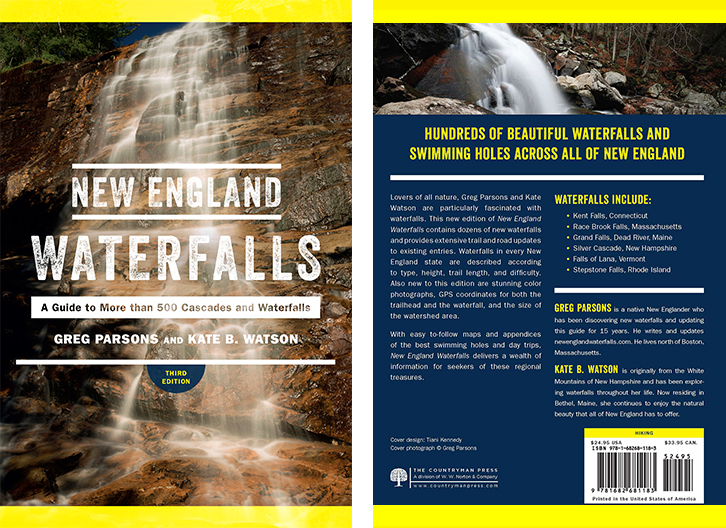 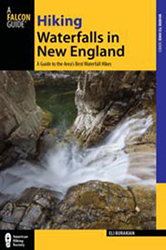 Below the falls lies one of the largest waterfall swimming holes in New England. 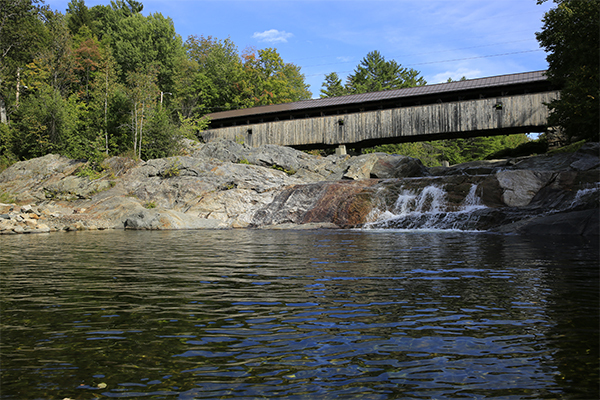 With its western exposure, the pool soaks up the sun, often heating the water to tolerable temperatures; some will find it warm enough to swin in as early as May or as late as September. 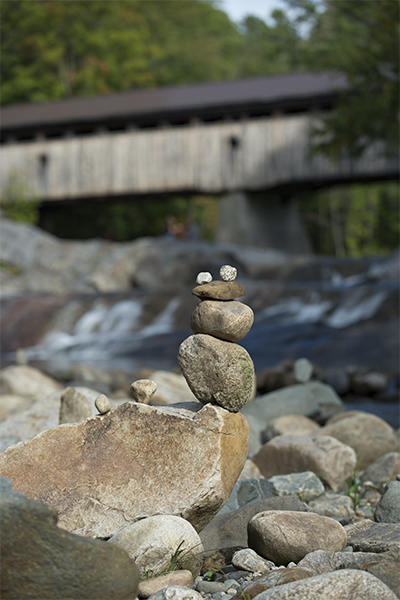 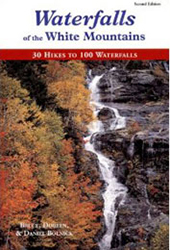 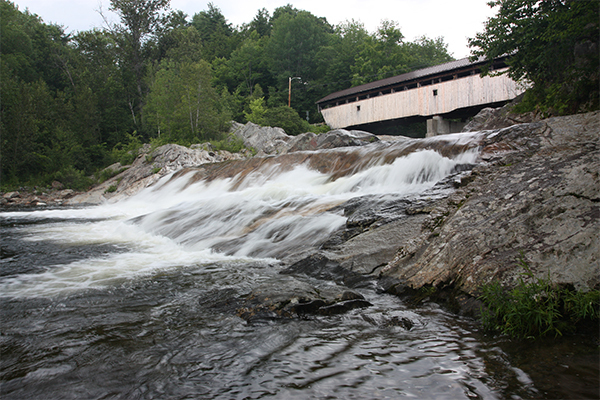 The Wild Ammonoosuc River drops twice here, with both falls of the block-type waterfall style. 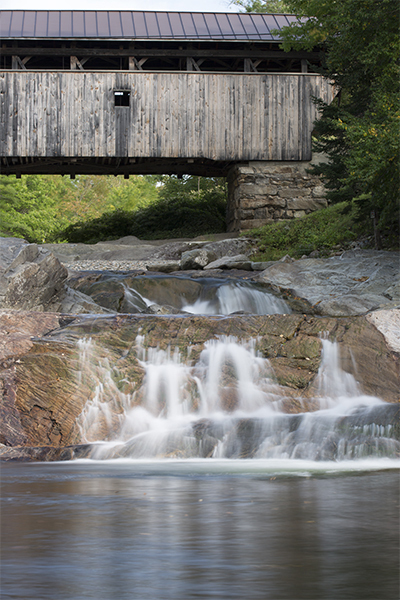 The bottom block is the tallest, at 8 feet, and the widest, at about 45 feet. 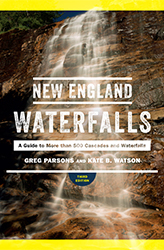 You will notice that on the last cascade, only the bottom half of the cascade is whitewater, which is highly irregular. 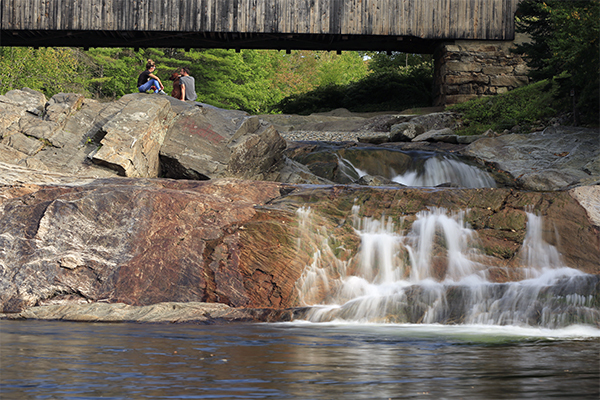 The Wild Ammonoosuc River slips for the first half, then ripples into whitewater, which carries on into the pool, creating a natural waterslide perfect for anyone confident of their swimming abilities. 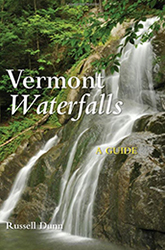 The optimal time to visit this waterfall is during an afternoon on a hot and sunny summer day. 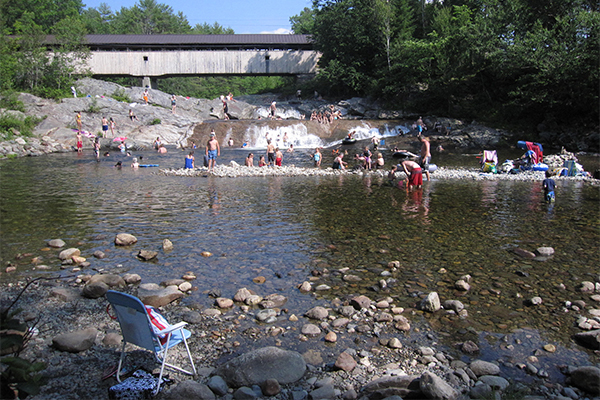 Although this is still northern New England, and many will still find the water temperature chilly, it will be considerably warmer than most swimming holes in the region. 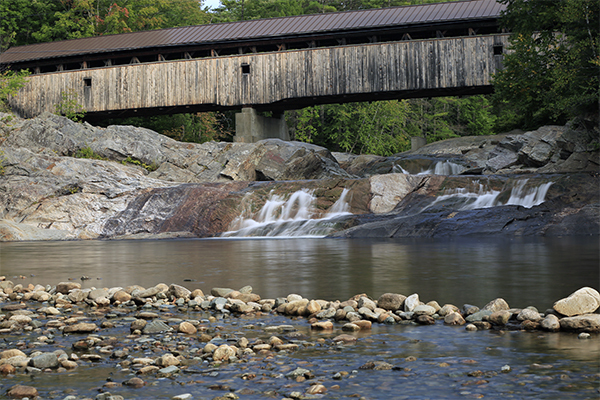 There is fairly good fishing here too—don’t forget your fishing pole and your State of NH fishing license.